Hi Dolls. 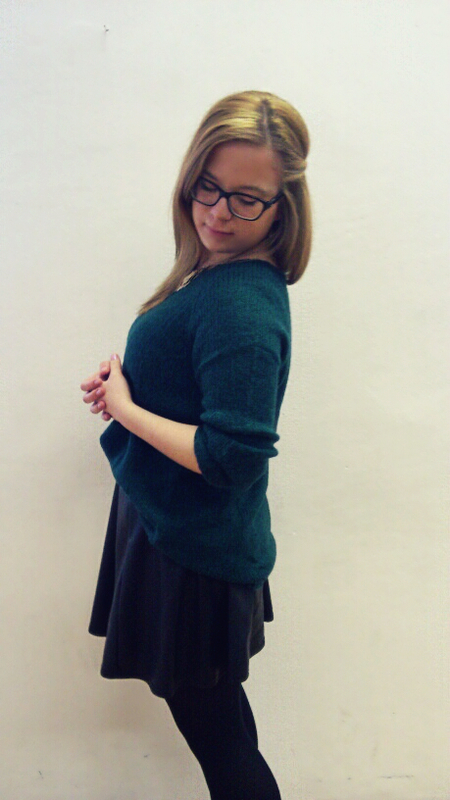 This is another outfit of the day post and I wore this yesterday to school. I wore a green sweater from H&M which I find so pretty, because I just love this shade of green and it's also really popular this season so this is another great thing about ti. I matched it with a black leather skirt from River Island, and some gold jewellery. I really like this outfit because it makes me feel comfy and worm, especially because it's so cold here at the moment, and some edginess with the leather. So this is pretty much it for today, I'll post some new things tomorrow, and a special DIY is coming soon. 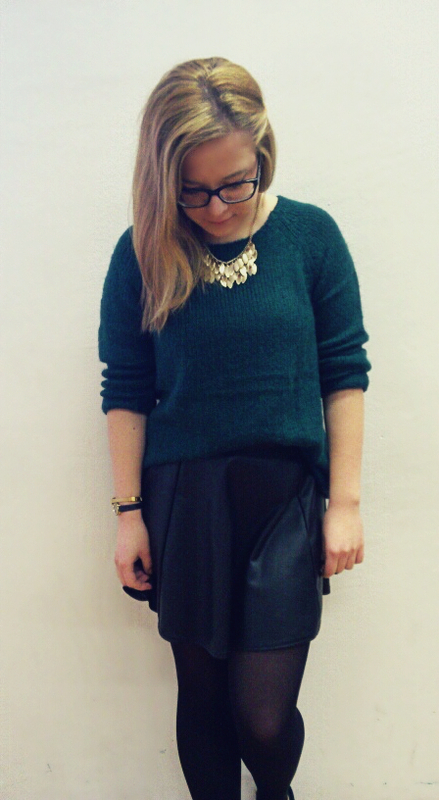 i just love your skirt and sweater.that deep green is such a lovely shade. Love your sweater so much,it's so cute! 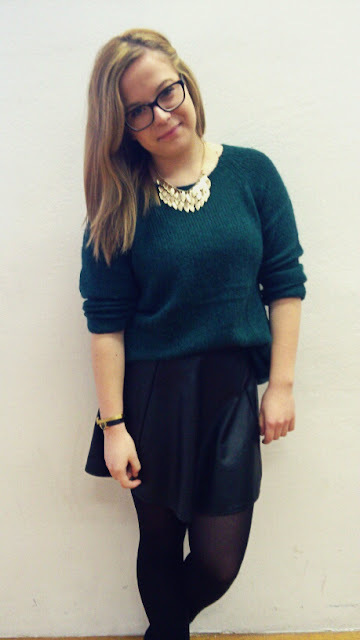 Such a stunning outfit,+ your necklace is so gorgeous! These pictures are just stunning :) I'm so pleased to have found your blog and am following you now! Very cute outfit. I love your sweater!